Kinsman offers a broad range of real estate services that are tailored to fit your individual needs. Our passion lies in reaching our clients' goals. We personalize each transaction to exceed performance expectations throughout the entire development process. Our staff has over 50 years of combined experience. We choose the best sites and hire the most experienced talent. By bringing in the most skilled architects, consultants and contractors, we develop premium, on-time and cost efficient projects containing cutting-edge features. Whether we are developing a specialized medical facility for a group of physicians, a casual dining restaurant for a franchisee or a neighborhood shopping center, we treat each client distinctively. Kinsman Realty Advisors is a full-service brokerage firm licensed under Keller Williams for commercial and residential real estate. We are committed to producing results for our clients, and our passion lies in reaching their goals. We personalize each transaction to exceed performance expectations throughout the entire buying or selling process. Click here to visit Kinsman Realty Advisors or contact Gill Jones at 972 378 7368. At Kinsman, we have years of experience in commercial real estate brokerage and development. We treat each client distinctively, and our passion lies in reaching our clients' goals. For information on leasing, sales and listings, contact Gill Jones at 972 378 7368 or click here to visit Kinsman Realty online. Midway Medical Center is located near the intersection of Midway and Parker Roads in Plano, Texas, adjacent to the Presbyterian Hospital of Plano. 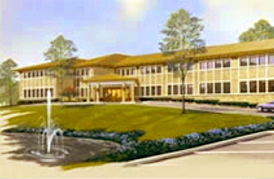 The 43,457 square foot building is a two-story medical office campus that features state-of-the-art medical office facilities design, five-minute foot-bridge access to Presbyterian Hospital of Plano, a beautiful nature and water feature, more than 250 parking spaces and convenient access to the Dallas North Tollway. It is a perfect place to call home for any medical professional that likes to conduct their business with a touch of style and the added benefit of owning your own space. There is currently one space available at Midway Medical Center. For more information, call Mike Perkins at 972 378 7361. Bridgefarmer Center is a light industrial park development at 3737 East University Drive in McKinney, Texas. It is an ideal location for entrepreneurs and small businesses. 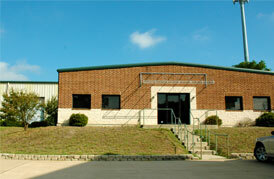 This complex consists of 42,000 square feet of rentable office/warehouse space. Spaces range from 1,000 to 5,000 square feet each and include an office, bathroom and shop/warehouse space. For more information, call Gill Jones at 972 378 7368. 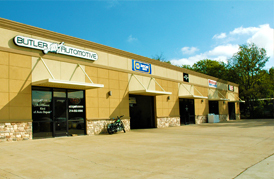 Birmingham Business Park is located just outside the city limits of Wylie, Texas on Park Boulevard. The Business Park is an ideal location for a small business owner looking for light-industrial space or a professional services company needing to open a new office location. This is a destination location, adjacent to thousands of new and existing homes which creates a demand for commercial facilities. The Business Park also consists of land ideal for a build-to-suit office, warehouse, church, mini-storage or education space. Up to 3.5 acres are available for sale or build-to-suit. For more information, call Mike Perkins at 972 378 7361. 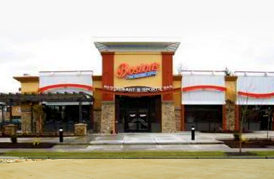 Kinsman was awarded the opportunity to help a successful franchisee of Boston's The Gourmet Pizza restaurants to develop multiple units in the Seattle, Washington area. Kinsman was able to take the project burden off the franchisee's list of priorities. We allowed the group to focus on restaurant operations of their other units while we took care of the entire process of getting the restaurant through the approval process and built. We accomplished this task in only eight months and completed the project under budget. Our Denver development is a McKinney office/warehouse project totaling over 20,000 square feet. It includes one 12,000 square foot building and one 9,000 square foot building ideal for small businesses. We developed our own offices and the surrounding multi-tenant suites on Chapel Hill Boulevard in Plano, Texas. Our single-story building is 11,800 square feet and fully finished. 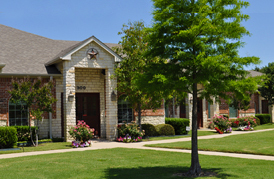 It is a beautiful space conveniently located across from Willowbend Mall. For more information, call Mike Perkins at 972 378 7361. Kinsman Ventures has acquired 10-18 acre homesites in Van Alstyne, Texas. These beautiful properties include a creek, rolling hills and scenic views. Located in a rapidly growing area with easy access to Central Expressway, the homesites are part of a 154-acre development with utilities and paved roads available. For more information on purchasing a homesite, call Gill Jones at 972 378 7368. Kinsman Realty Advisors is a full-service brokerage firm licensed under Keller Williams for residential real estate. We are committed to producing results for our clients, and our passion lies in reaching their goals. We personalize each transaction to exceed performance expectations throughout the entire buying or selling process.